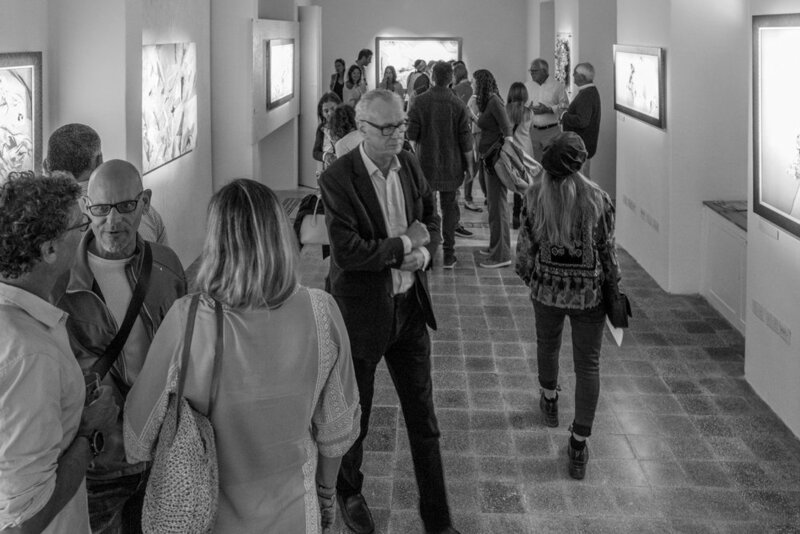 Collaboration is at the heart of the Malta Creative Collective, so when we hear of artists and creatives coming together across the island, we’re more than delighted to learn more. We are pleased to write our first collaboration feature that shines a spotlight on a photographic project by Inigo Taylor and Joanna Demarco - Valletta in 2018. Since 1985, each year, two cities within the European Union are granted the title of European Capital of Culture (ECoC), with its reign lasting one calendar year. Seven years after placing its bet, Malta’s capital city, Valletta became one in two of the ECoC title-holders during the programme’s 33rd year since inception. The project Valletta in 2018 is an independent photographic project presenting the viewer with an alternative, unpolished angle to the city during its year in the spotlight as European Capital of Culture. Throughout the year, Inigo and Jo visited Valletta frequently, covering all corners of the city’s footprint, in all types of weather, on varying occasions, during both eventful and uneventful moments, photographing whatever caught their eye. As the year progressed, they witnessed V18 make headlines for both the right and wrong reasons. In and around the activities and events, they felt it was necessary to keep documenting what actually was, what they saw, and what they experienced. At no moment does Valletta in 2018 seek to be objective. Through their lens, we are provided with an unfiltered version of the city while the polished and staged photographs were front and centre promoting the city throughout the year. The documentary social photographs were coherently put together and recently presented in an exhibition and beautifully presented in a publication. The handcrafted, limited edition books are hand-bound by Kotba Calleja and designed by Bloom Creative, taking inspiration for the cover from one of Valletta's uniquely-tiled arcades. Copies of the book can be purchased by contacting Joanna on mail@joannademarco.com. Friday, 5 April will play host to the Collective’s second edition of its Creative Circuit, spread across 5 diverse venues in the capital. 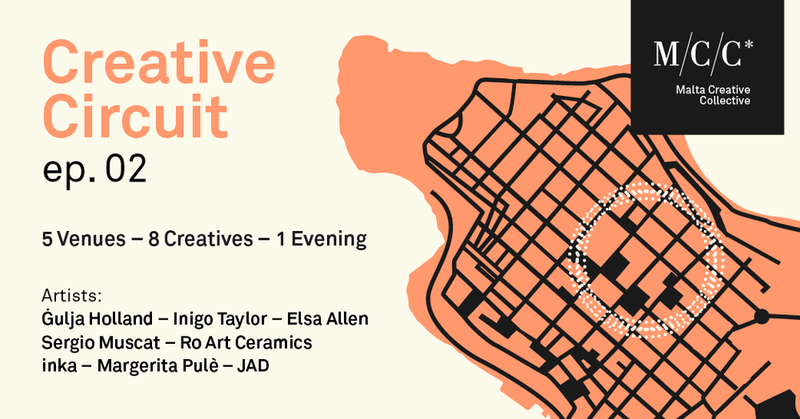 We take a glimpse into the spaces that will be opening their doors for this collaborative event, which will see 8 creatives - Maltese and international; established and emerging - coming together and connecting with the wider public. SON Architecture Studio is the culmination of a childhood dream conceived by best friends and architects Mark Peregin and Mark Sullivan. Driven by an artistic sense for both the natural and built environments, their intrigue for imaginative contemporary design has fuelled their friendship and work dynamic. The duo set up their firm in the heart of Valletta, where the momentum of Malta’s art culture is fast unfolding. They believe that beauty enriches and inspires one’s life. The team at SON Architecture Studio is striving to design sensitive solutions for the rehabilitation of historic buildings as well as propose efficient contemporary ideas for new structures. Co-founded by genuine food purveyor Julia Ripard and experienced sommelier Paolo Belluardo, Cru is reference point for wine-lovers and enthusiasts of all levels, offering a unique selection of wines unlike any other on the island. Focusing on those undervalued and affordable bottles together with hard-to- find classics from world-renowned wineries, Cru pairs its curated wine selection with a tapas-style menu of the freshest local produce, combining foreign delicacies of premium quality with a local twist. One of the latest creative spaces to open its doors in the capital city, La Bottega Art Bistro is a concept cafè managed by Lily Agius Gallery. A bistro that seeks to bring together like-minded people over food and art, every fixture and fitting has been custom-made by a master welder, reflecting a raw and natural aesthetic that is mirrored in the distinct art that is exhibited within. Founded in 1979 by Carmel Bezzina, this fascinating metal workshop hidden in one of Valletta’s side-streets is now run by his son, Mario Bezzina. What began as an engineering studio that serviced the flourishing jewellery trade of the time, the space gradually grew into an studio that would repair, craft and service engineering-related elements connected to everything from the marine industry to the dolceria market. Today, it remains the only such workshop that is continuing a family’s tradition and unique engineering craft. 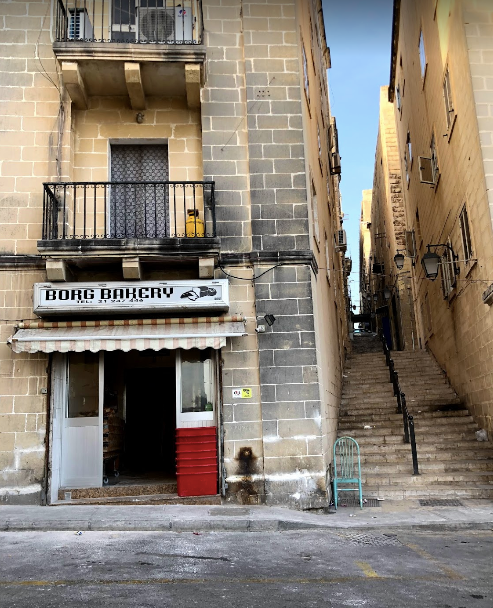 Borg Bakery, one of the last (if not only) authentic bakeries still functioning in Valletta. 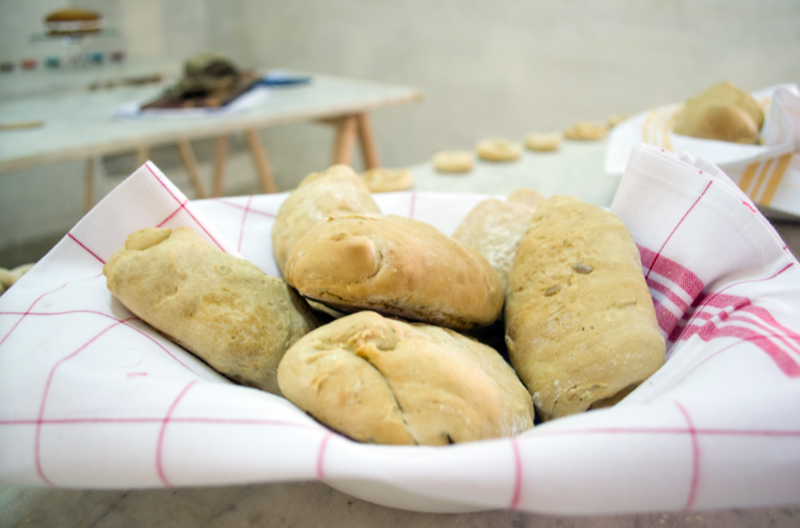 This family-run bakery has been baking traditional Maltese ħobż and pastries for several generations, as the age-old, Maltese bread-baking craft has been passed down from father to son. Creative Circuit ep. 02 shall take place across Valletta on 5 April 2019. 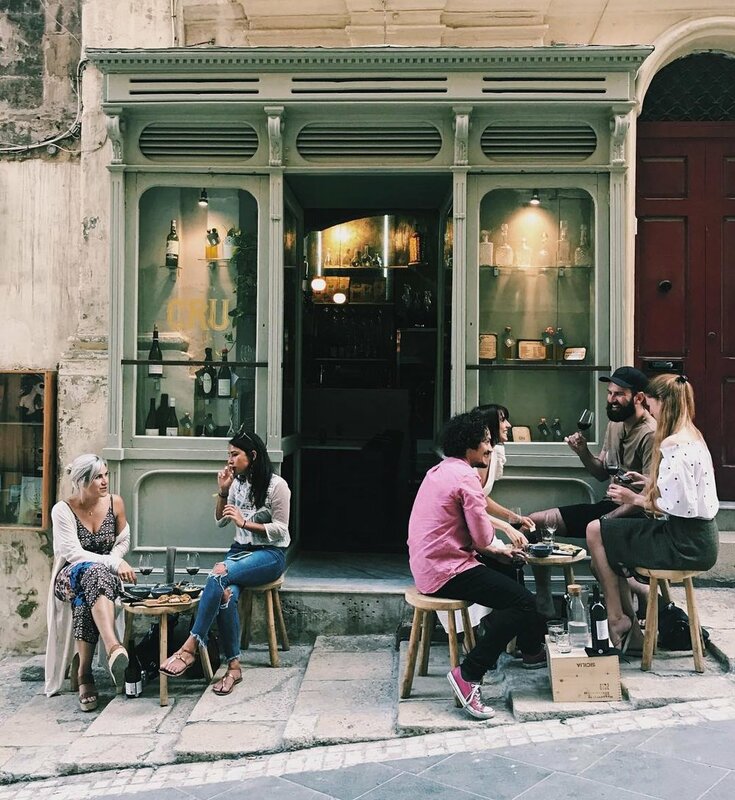 Walking through the narrow Valletta streets, I often find myself engulfed in its architecture, connected to the diversity of its people, and intrigued by the myriad of new places I encounter on each visit. Many a time I wish I could freeze everything for one fleeting, solitary moment, just to be able to absorb all that our capital city has to offer. If only. Yet next Friday, we may come close, and I revel in the thought of the journey that the upcoming Creative Circuit ep.02 will take me on across Valletta. Albeit a micro snippet of the vast and overlapping art, design, and culture the city extends to us, it is a morsel that will feed my creative soul. I have only once caught a glimpse of the social documentary project that Inigo Taylor has been working on since 2007. As he digs deeper into Maltese society through his lens, I was drawn into the changing landscape and inhabitants. It is an expressive perspective of growth, transformation, and humanity. 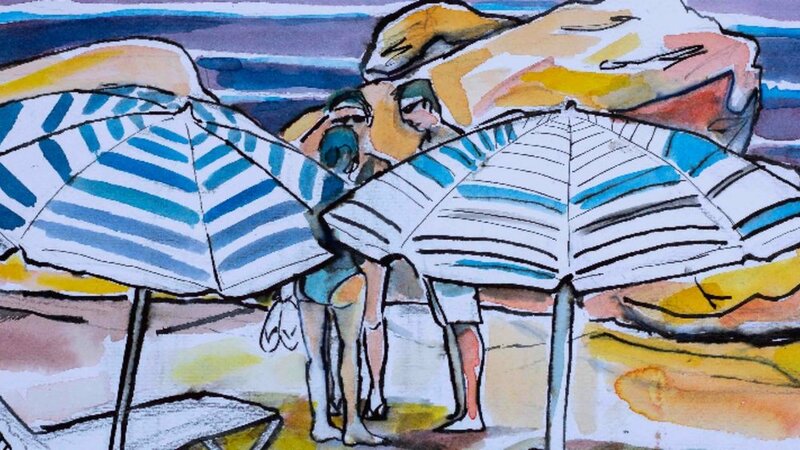 Dramatic portraits previously took centre stage in the works by Gulja Holland, but I am captivated by her recent collection of her depiction of candid beach scenes that she will be unveiling. Photographs have the ability to transport you to other times and places, but what I enjoy most about photographs is their ability to provide you with the opportunity to look through the window of the photographer’s passion. With her snaps, Elsa Allen lends us a glimpse into her travels, into cultures and humanity, and into her own human experience. Sergio Muscat’s works speak to me with a magical mystery . The colours and shapes seem to draw me into a deeper level of the painting and perhaps into the place of my own thoughts. 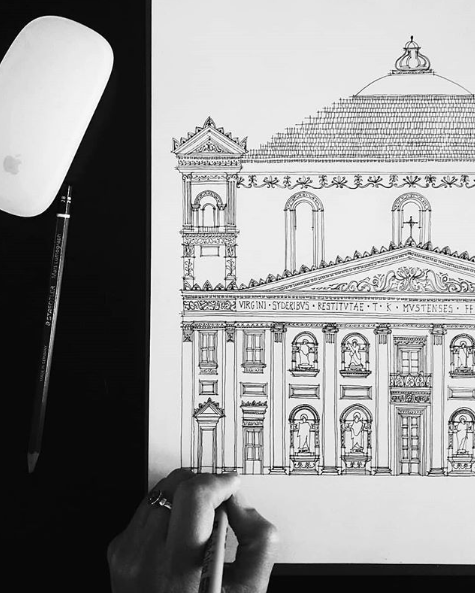 Marrying the beautiful architecture of our streets with art, Daphne Bugeja’s meticulous ink sketches of our island’s visual heritage depict symmetry in a freehand drawing with an elegant and fluid-like feel. If I wanted to hang a part of the the sea onto my wall, it would be possible with the beautiful ceramics crafted by Robbie Mazzaro of RO Art Ceramics. Her pieces draw from nature, but her exhibit at the upcoming Circuit will be revealing a limited edition of Maltese doors, a fascinating element of our local urbanscape. From what seem to be delicate threads, Gioia Clavenzani and Ivano Ghinelli of JAD weave and design articulated contemporary jewellery that resembles items in nature. Their approach with origin lends their collections a deeper and more profound meaning. In her project The Cement Bakery, Margerita Pulè brings together two everyday, fine-powder substances with invaluable meaning - flour and cement. I will be curious to see how she uses her work to shine a light on the way flour - and now cement - can both be said to be the life-blood of our society. As I sit back, I think of how this upcoming Circuit will be an exploration of pockets of our city that is brimming with culture. Moreso, I feel it will be a door into my own creative spirit by way of the intricately woven facets of humanity, colour, design, nature and materials that these talented individuals will lend me coupled with the spaces I will have the opportunity to view them in. Creative Circuit ep. 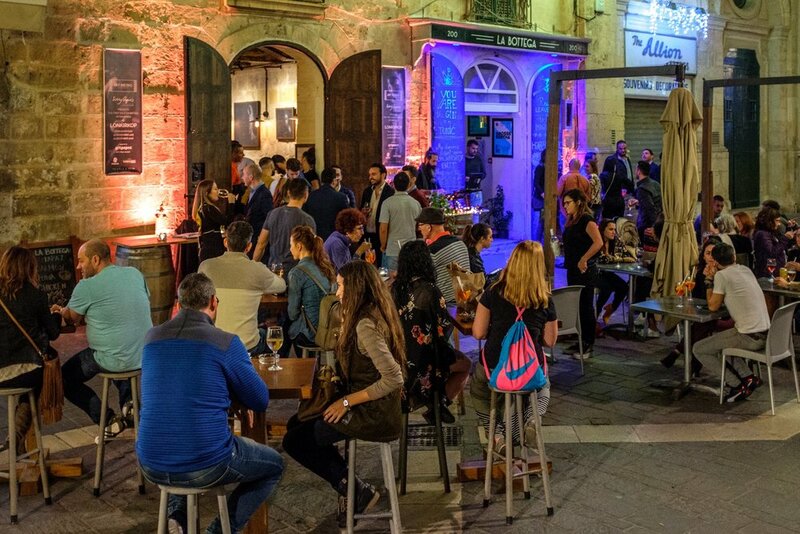 02 shall be taking place across differing venues in Valletta on 5 April 2019 from 6pm.